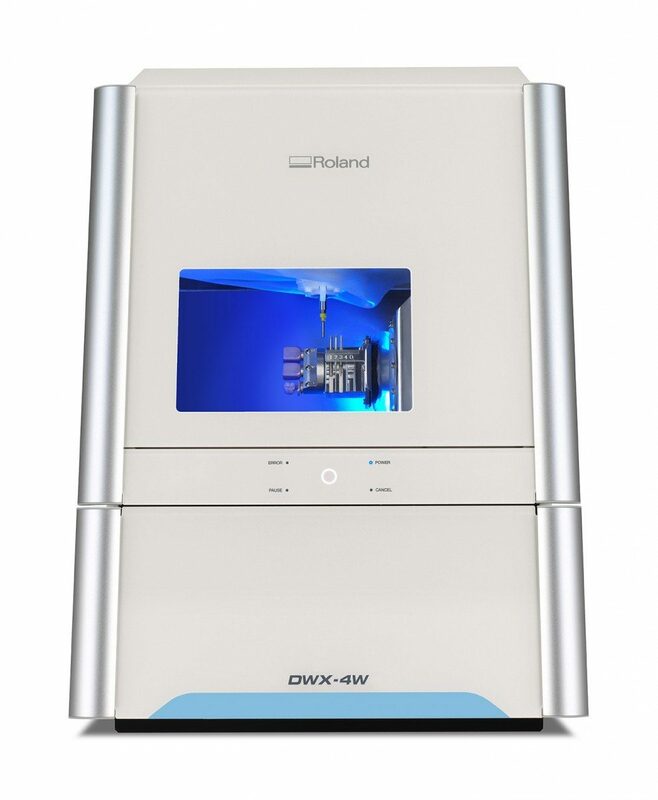 The DWX-4W Wet Dental Mill is the latest in Roland DG technology that goes beyond dry milling to quickly, and precisely, cut glass ceramics and composite resins. 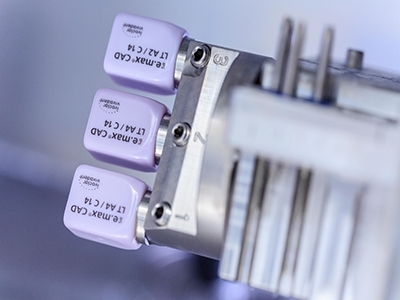 The mill is fully automated and can accommodate three crowns at a time. 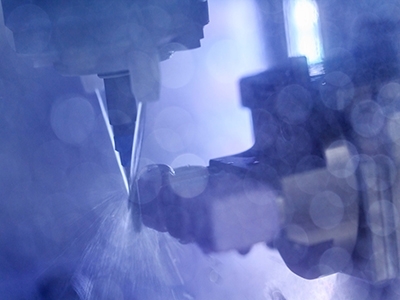 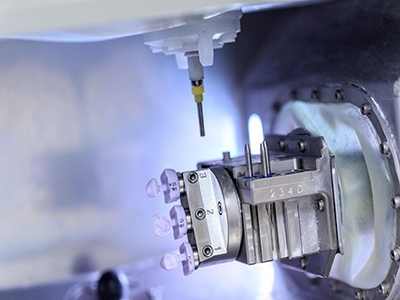 The DWX-4W produces crowns, bridges, inlays, onlays and veneers at high speed with its Jaeger DentaDrive spindle and simultaneous 4-axis milling. 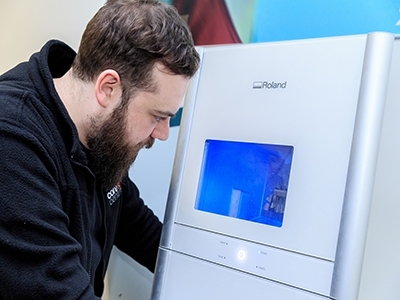 Additionally, it offers unattended milling convenience and increased efficiency with the option of loading up to three standard pin-type blocks at a time.